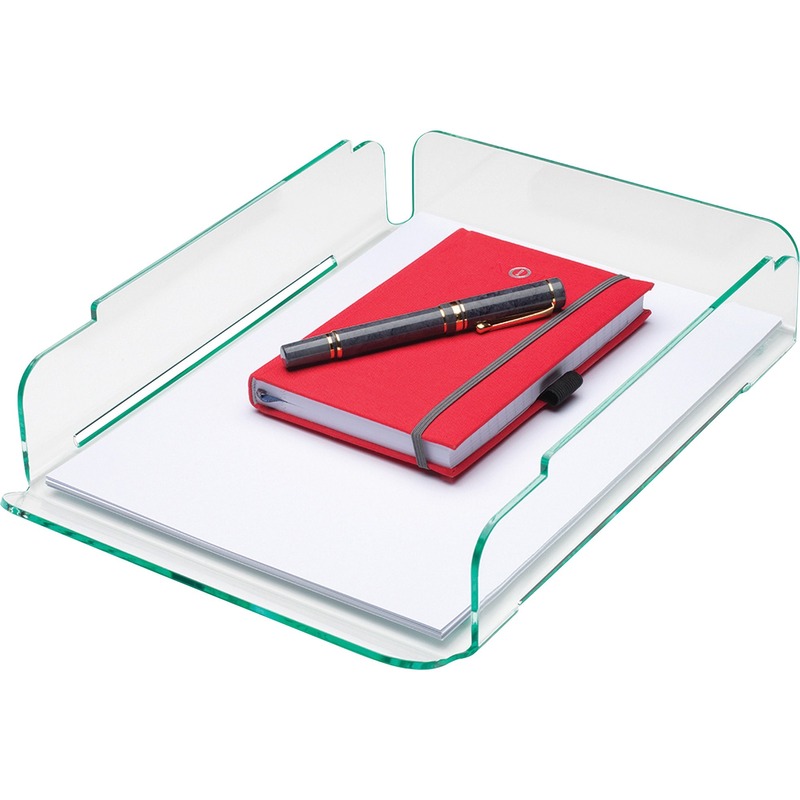 Stacking letter trays offer a durable, lightweight design with polished edges. 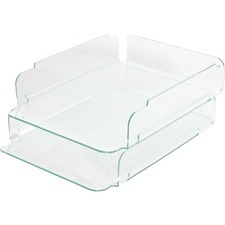 Smooth, curved edges feature a hint of green to emulate the look of real glass. 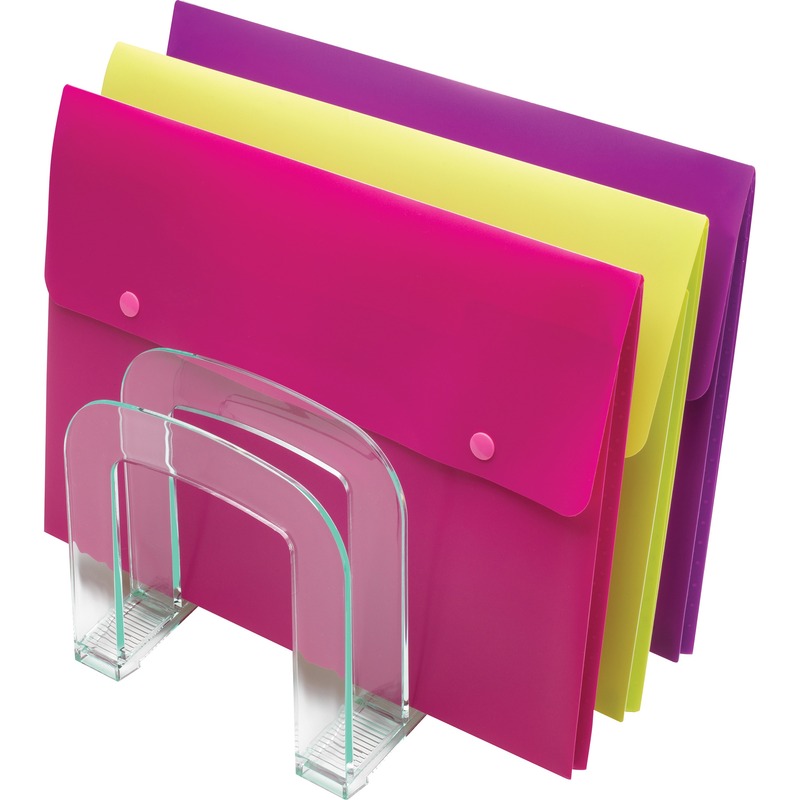 Nonskid feet protect desktop surfaces and keep your important papers on your desktop. Capacity is 2-1/2". 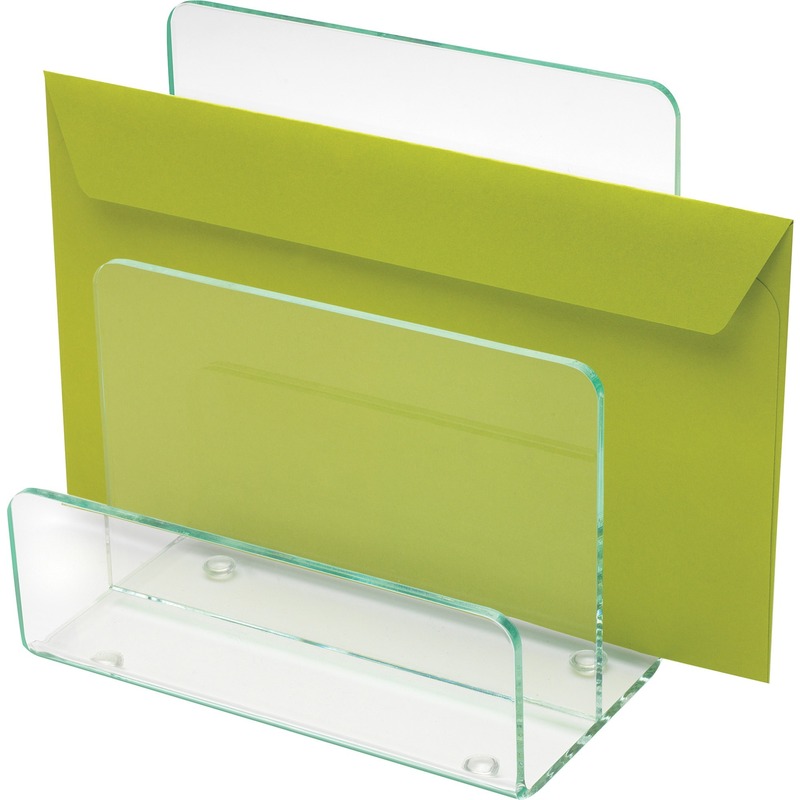 Letter trays are made of durable acrylic and do not require stacking supports for stacking.